﻿ Archivo Historico Minero | Acciones mineras de la New York and Reese River Mining Company, Reese River, Nevada, USA. Año 1866. 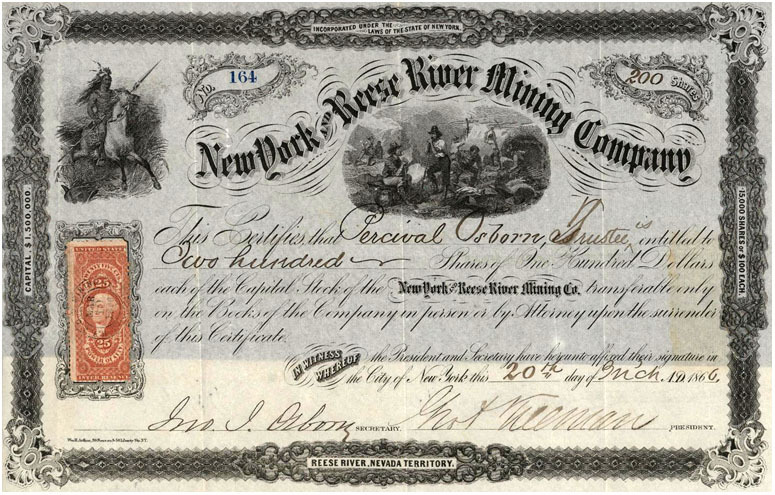 Acciones mineras de la New York and Reese River Mining Company, Reese River, Nevada, USA. Año 1866.